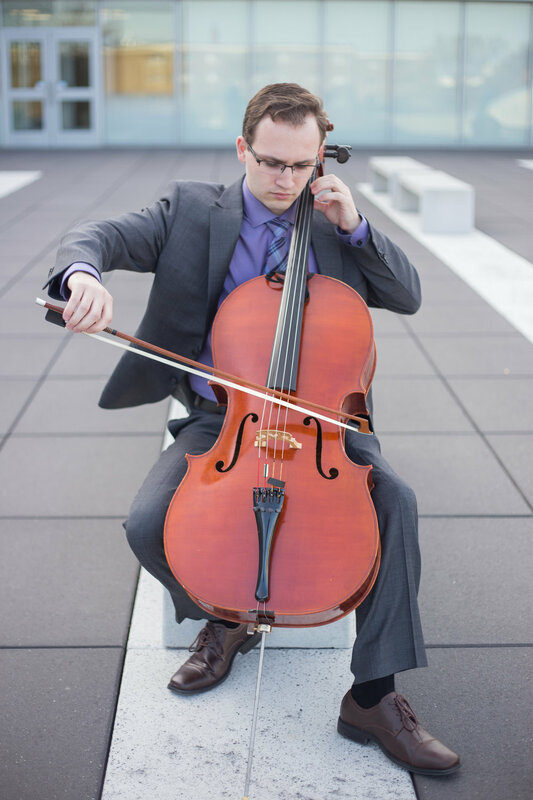 A native of the Toledo, Ohio metropolitan area, Taylor Stobinski is a performing cellist and instructor in the greater metropolitan area of Boston. He is a current Master’s candidate in cello performance at Boston Conservatory at Berklee under the direction of Rhonda Rider. As a performer, he currently holds a membership in the Lima Symphony Orchestra in Lima, Ohio, and was a member of the Perrysburg Symphony for five years, where he served as principal cellist during his final year. He has performed with the Sono Novo Chamber Ensemble, Ballet Theatre of Toledo Orchestra, Toledo Symphony Camber Series, Adrian Symphony Orchestra, Findlay University Orchestra, Ohio Northern University Orchestra, and the Bowling Green Philharmonic. Taylor has recorded with the WLMB Toledo Broadcasting Network in addition to many independent collaborations. As an instructor and educator, Taylor served on the faculty with the Toledo Symphony Suzuki School of Music and served as the cello mentor for the Detroit Symphony Orchestra’s WFA Youth Symphony Orchestras. He held a senior faculty position at the Black Swamp Fine Arts School and served as an instructor at the Studio Connections, both in Bowling Green, Ohio. Taylor has also taught, coached, and given masterclasses in the public school system of Maumee, Ohio. Taylor’s primary instructors include Rhonda Rider, Alan Smith, Robert Clemens, and Brian Snow.